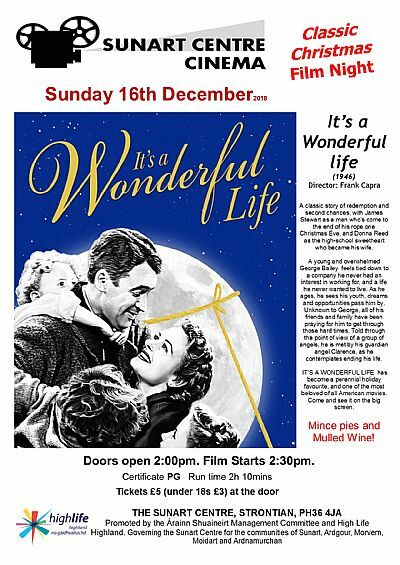 Sunday 16th December we will be screening the classic “It’s A Wonderful Life” the 1946 classic Christmas fantasy comedy-drama starring James Stewart as George Bailey, a man who has given up his dreams in order to help others, and whose imminent suicide on Christmas Eve brings about the intervention of his guardian angel, Clarence Odbody (Henry Travers). Clarence shows George all the lives he has touched, and how different life in his community of Bedford Falls would be if he had never been born. (PG, 2 hours 10 minutes).